Join fellow IT Managers, IT Professionals, Solutions Architects, Technical Decision Makers, Developers, and Architects when Neudesic, LLC. explores cloud computing. 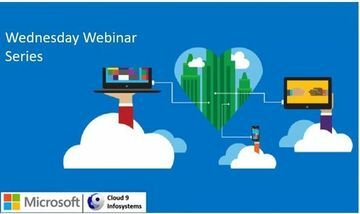 Learn from industry experts about Microsoft’s cloud services operating system, Windows Azure, and how it fits into your company's bigger picture. Take the first steps towards understanding the features, functionality and value of the Azure platform, and what it takes to develop and deploy applications to the cloud. Meetings are hosted every third Tuesday in alternate months in the Microsoft Downers Grove offices. Each meeting focuses on a new topic and offers complimentary breakfast or dinner. Neudesic is a Microsoft National Systems Integrator and Gold Certified Partner with a proven track record of providing reliable, effective solutions based on Microsoft’s technology platform. Neudesic’s technical and industry expertise empowers enterprises to enhance their technological capacity and respond to business opportunities with a greater level of efficiency. Neudesic was established in 2001 and is headquartered in Irvine, California. Neudesic offers its products and services nationwide with offices located in Austin, Chicago, Denver, Las Vegas, Los Angeles, New York, Philadelphia, Phoenix, San Diego and Seattle, and a global presence based out of India.